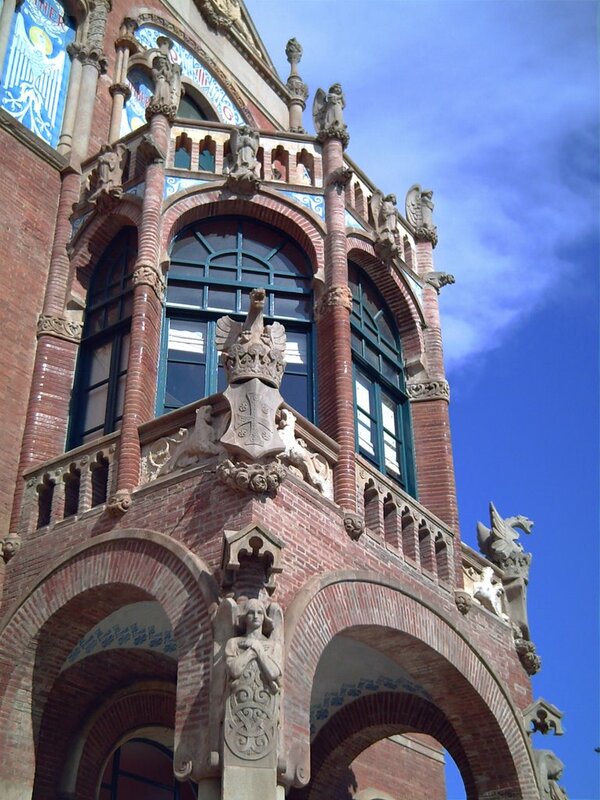 Hospital de Sant Pau, a magnific representative of modernism in Barcelona was projected by the architect Lluís Domènech i Montaner in the year 1901. Construction finished in 1930. Of course this is a place you cannot miss if you are an art lover and it is just one subway stop away from Sagrada Familia. Eusebi Arnau and Pau Gargallo were the sculptors of the stone figures among which you can admire these beautiful gargoyles. The pavilions have been restored and are part of a modernista complex now open to the general public. All of the previous services of the hospital were moved to the new Sant Pau Hospital built just behind the premises. Nice to have a hospital in a building like that! People would find it strenge to visit a hospital but this one is definitely worth a visit! I've seen this from the bus tour. hermoso!! adororo las gárgolas!! feliz viernes santo! !